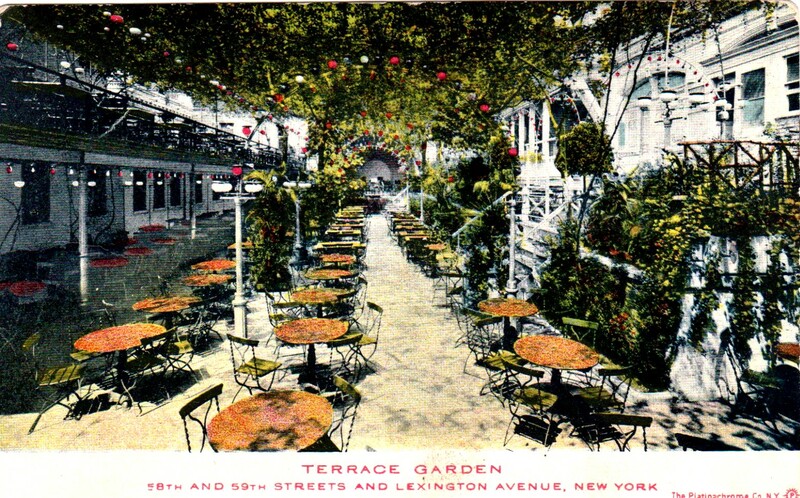 Daytonian in Manhattan: The Lost 1866 Terrace Garden -- 58th Street near Lexington Ave. The Lost 1866 Terrace Garden -- 58th Street near Lexington Ave. 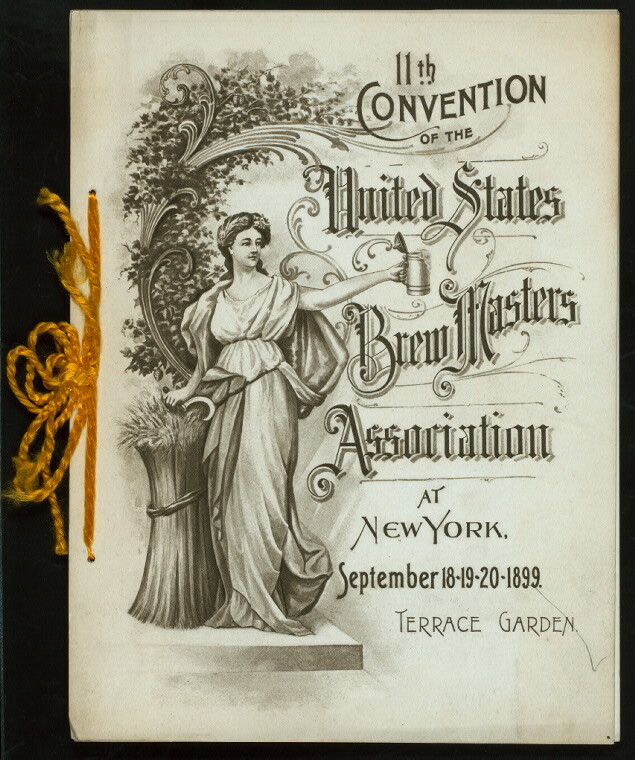 In 1866 the concept of the “pleasure garden” was firmly rooted in New York. As early as 1767 Samuel Fraunces, the proprietor of Fraunces Tavern, had opened the Vauxhall Gardens. Pleasure gardens were normally a combination of theater, refreshments and entertainment that mixed indoor activities with open-air gardens. By now the German population of New York City was substantial and the Lower East Side teemed with German music halls and social clubs. What was needed, thought John Koch, was a pleasure garden. Koch purchased land far north of the congested Kleindeutschland neighborhood, on East 58th Street, where the open air was as yet unspoiled by development. The wide lot, which sat between Lexington and 3rd Avenues, stretched through to East 59th Street. 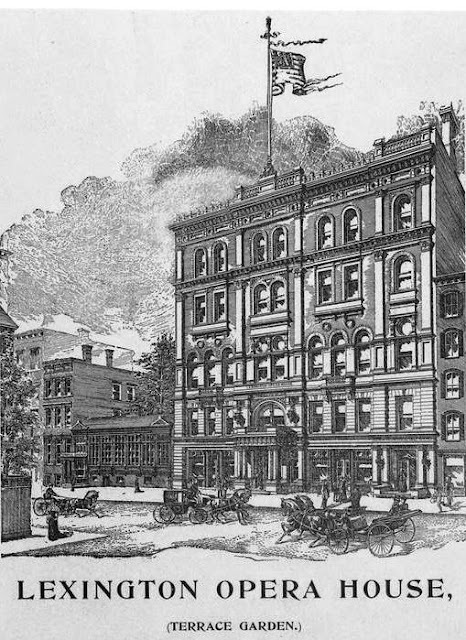 The handsome brick and stone structure rose five stories and reminded New Yorkers that the Germans made up an important component of the city’s population. Called the Terrace Gardens, the complex included a concert hall, ballroom, banquet rooms and meeting rooms, an attached hotel and, of course, the beautifully-planted gardens. Unlike the German social halls which were essentially German-only; the Terrace Garden welcomed everyone. 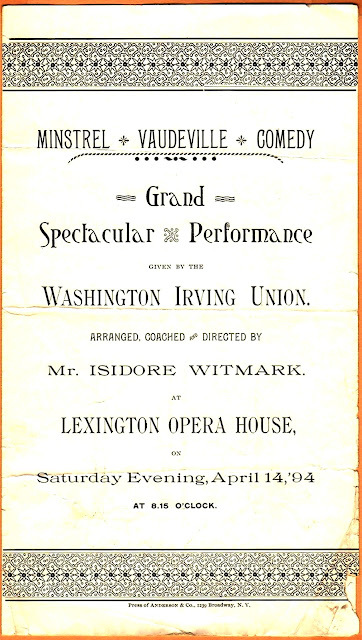 Other ethnic and political organizations rented the venues and the concerts, operas and plays were attended by general audiences. In 1884, for instance, a Franco-Jewish group, the Social Society of the Communaute Israelite Francaise leased the space for its amateur performances. 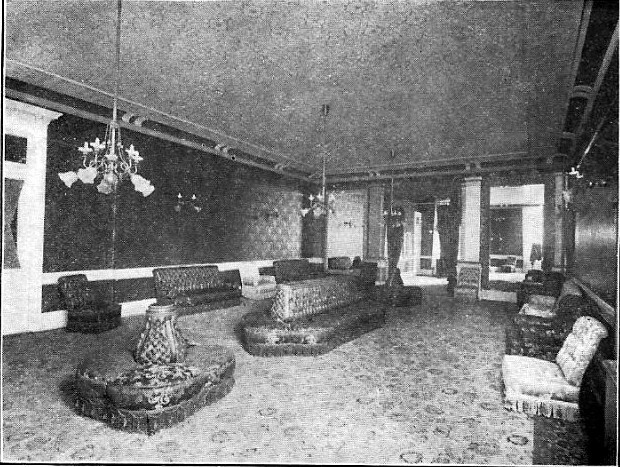 The Terrace Garden and its interior theater, called the Lexington Opera House, quickly became one of the premier entertainment and gathering spots. 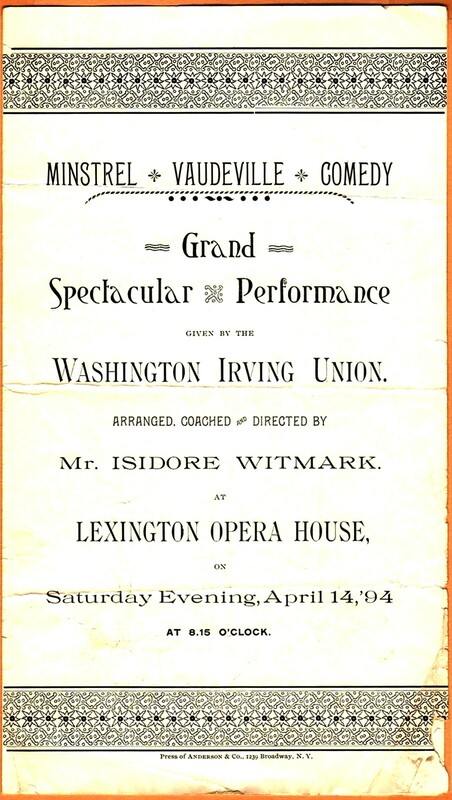 The theater offered German opera, concerts, and later added minstrel and vaudeville shows. A more formal and dignified event occurred in 1888, however, when the Garden was visited by the aunt of the Emperor of German, the Princess of Schleswig-Holstein and her husband. On August 27 the princess, dressed entirely in black, arrived at the Terrace Garden with her husband Dr. Friedrich von Esmarch, one of the world's greatest authorities on military surgery. The reception room was draped in American and German flags and after brief ceremonies and speeches, the princess presented 1,200 marks for distribution among the indigent immigrants from Schleswig-Holstein. Things quickly returned to normal and the following Summer The Times was commenting on the opening of the musical season. Inside German opera was staged. “It would be difficult to find a place where Summer theatricals exist under better conditions for physical comfort that at Terrace Garden, where 'Die Fledermaus' was presented last night enjoyable as regards the company, the orchestra, and the surroundings,” said the reviewer. Nathan Franko and his orchestra, equally popular and famous as the earlier Theodore Thomas’s, now played in the garden. The Times reported on the vaudeville performances of the night before. An 1898 souvenir card depicted the up-to-date "ladies' parlor"
A 1905 postcard view of the gardens shows the orchestra area at the rear. With war raging in Europe on September 27, 1914, 10,000 German Americans crowded into the building to raise funds for the aid of widows and children of German and Austrian soldiers and to support the fatherland. The event was conducted by the United German Societies of New York. 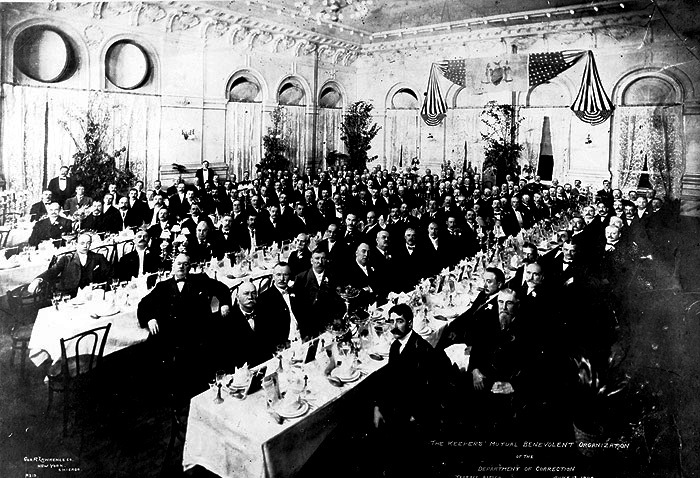 The speakers denounced France and England and urged America’s alliance with Germany. America did not ally with Germany, of course, and the fate of the Terrace Garden was threatened. A year after the massive assembly The Times reported that Adolph Suesskind was in serious financial trouble. “Terrace Garden…a famous place for German balls and parties, has not been able to weather the European war,” it said. As the 1920s roared in, the Terrace Garden continued is tradition of multi-ethnic entertainment with Fletcher Henderson’s black dance orchestra playing alongside an all-white ensemble. But although the Garden had remarkably adapted to changing times, the days of the pleasure garden were over. Prohibition dealt the last, deadly blow. But the endeavor was unsuccessful. Within a year the Terrace Garden—once among the most glittering entertainment spots in the city—was gone. And within only a few decades, it was totally forgotten. Thank you, very interesting history and documents! My Great-Great Grandfather and his family owned the Terrace Garden back in the late 1890's. Thanks for the pictures and story!